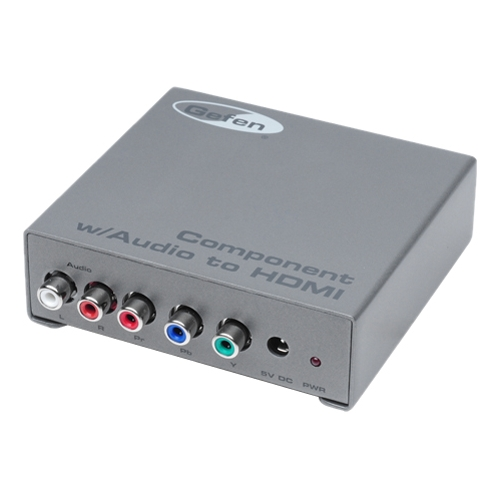 The Component Audio to HDMI Adapter is a unique device that allows older analog devices to be integrated seamlessly into the modern home theater. This adapter con- nects component video home theater devices to HDMI compliant digital monitors. This adapter also takes analog L+R audio and encodes it onto the HDMI signal for the full HDMI video and audio effect. With the Component Audio to HDMI Adapter legacy home theater devices and computer systems can be easily connected any HDMI display for the full digital video and audio experience.